restaurants | Park View, D.C.
H/T to BadWolf DC which brings news that Park View’s own Esencias Panameñas — Washington’s only Panamanian restaurant which features authentic Panamanian cuisine with a Caribbean twist — will host a one-year anniversary party on Saturday, July 23rd from 11 a.m. to 11 p.m. Esencias Panameñas is located at 3322 Georgia Avenue, between Lamont and Morton streets. 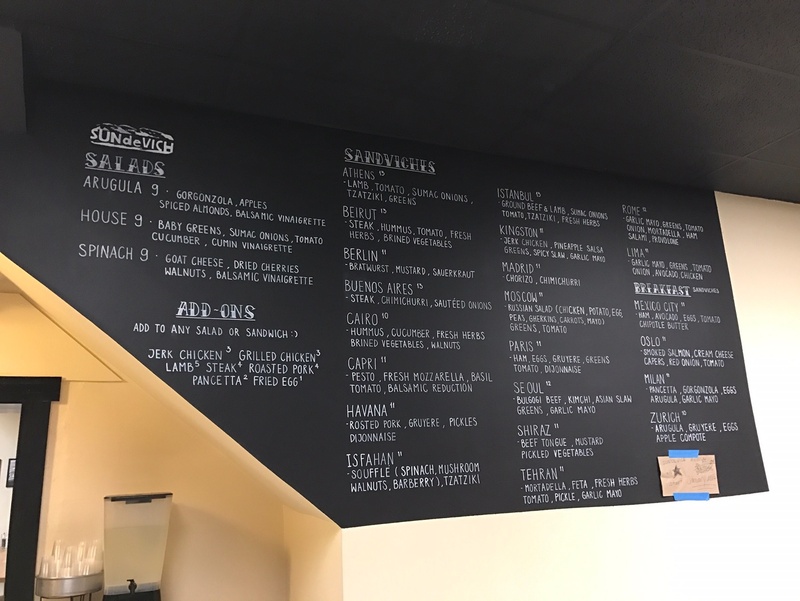 I know a lot of people are curious about the new restaurant that will be opening in the old Mothership space (3301 Georgia Avenue). 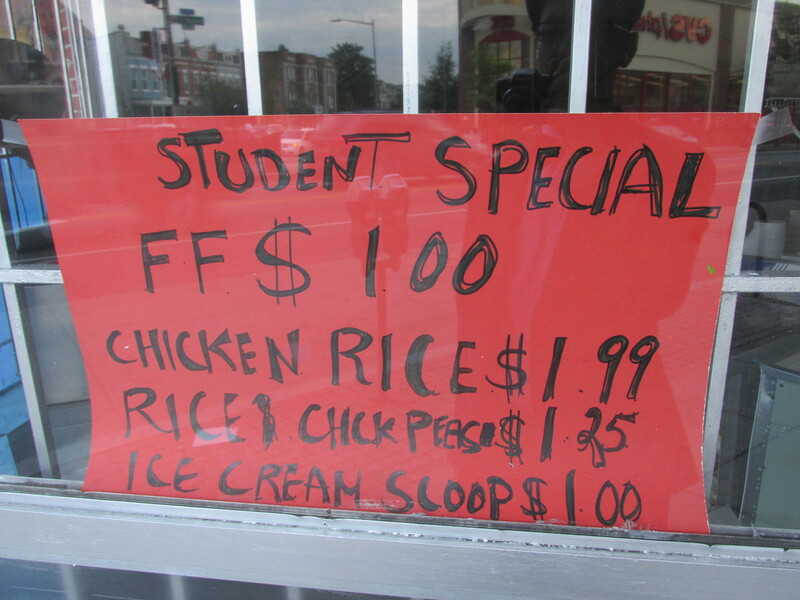 As people have noted who have recently walked past the business, the signage is up and everything looks ready to go. 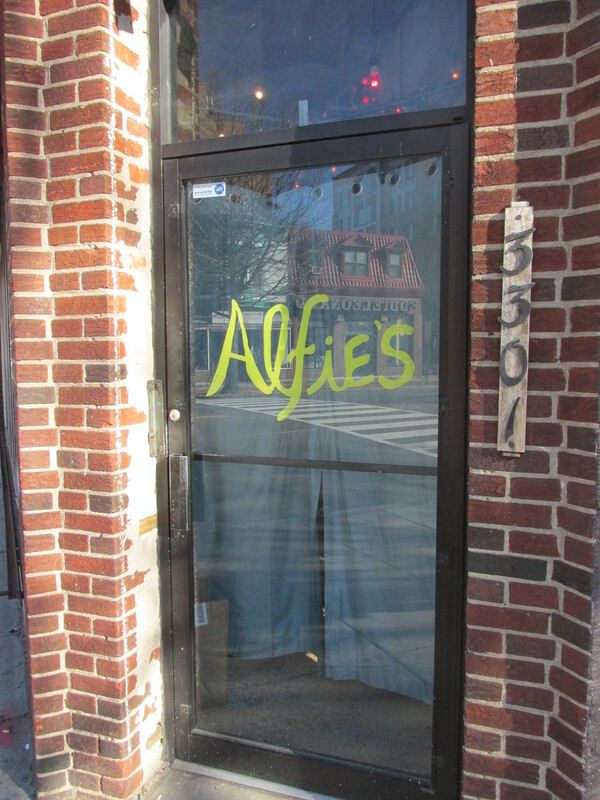 Alfies is the latest venture from Chef Alex McCoy. The liquor license was approved on Wednesday, January 13th and McCoy is working toward a scheduled January 30th opening date. The location at 3301 Georgia is a temporary pop-up space with a permanent location planned for 845 Upshur Street. For updates, you’ll want to check Alfies Web site as the opening date gets closer or follow Alfies on Twitter. 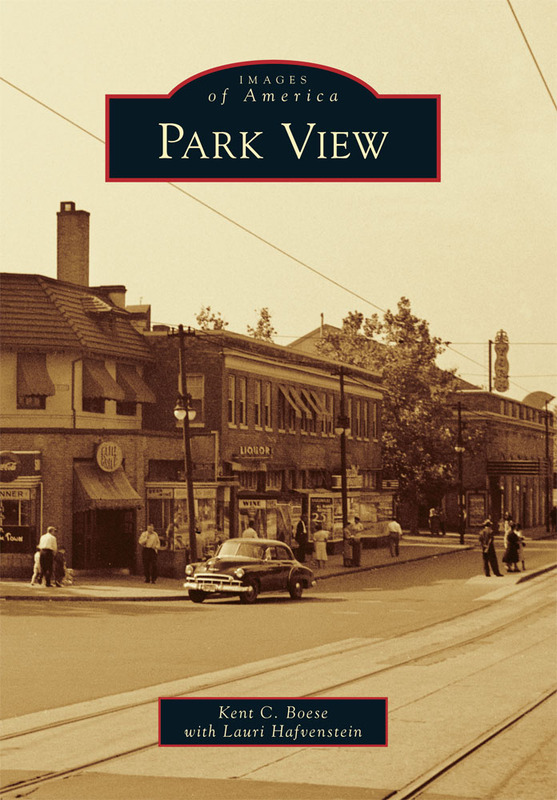 Here’s a documentary that will be of interest to many that features Jeremy Gifford of DC Reynolds here in Park View and Paul Ruppert of the Petworth Citizen. Both talk about their restaurants and their commitment to serving and being a part of the community. The documentary is part of a series by Clara Ritger. You can learn more about Ritger’s work, and see other episodes from the series here. 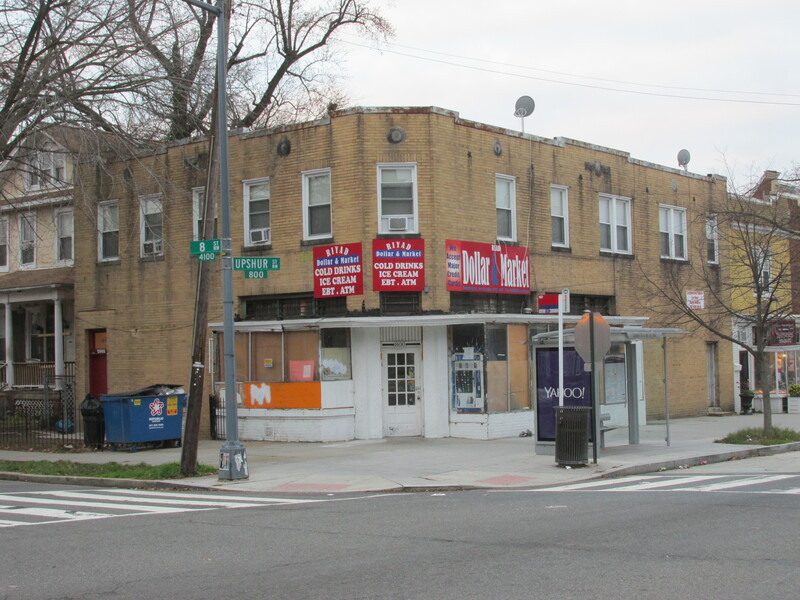 800-802 Upshur Street, NW, was recently placarded for a liquor license application for Ruta Del Vino, a new restaurant and wine bar coming to the Petworth community. 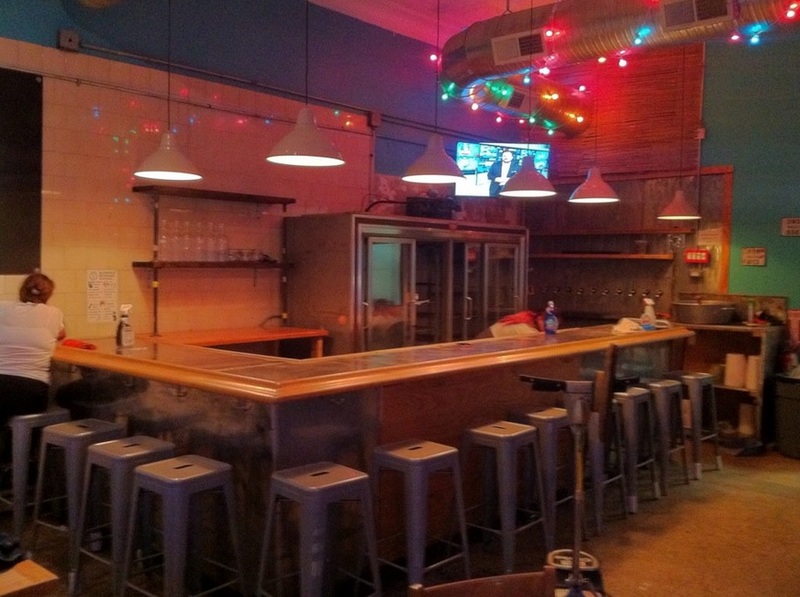 The eatery will be serving Latin American cuisine, wine, cocktails, and bear. The application includes an entertainment endorsement for flamenco guitar. The total occupancy is 141 with seating for 76 inside and a sidewalk cafe seating 20. Upshur Street has certainly come into its own and its nice to see it continue to grow. I’m really looking forward to this addition to the strip. 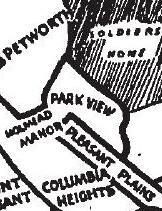 At last night’s meeting of ANC 1A, representatives of &Pizza introduced themselves and informed the community that they are planning to move into the Museum of Unnatural History space at the Columbia Heights Civic Plaza, with an expected opening date in the 1st quarter of 2016. The restaurant will have around 40-60 seats and plans to have outdoor seating as well. &Pizza will be applying for a liquor license in the near future which should provide more details. 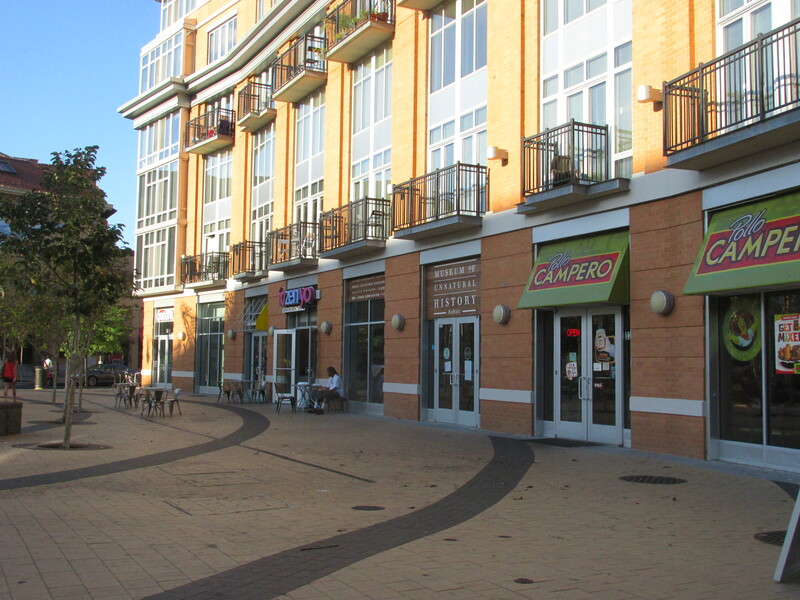 &Pizza currently has six locations in Washington with another planned for Barracks Row on Capital Hill. Additional locations are in Virginia and Maryland. 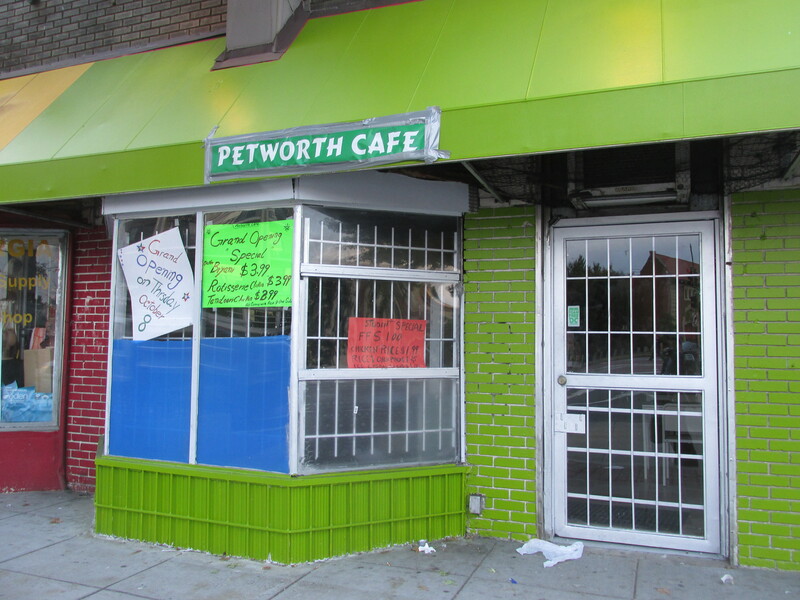 According to the signs in the windows, the Petworth Café located on the east side of Georgia Avenue between Quebec Place and Rock Creek Church Road will open for business on Thursday, October 8th. 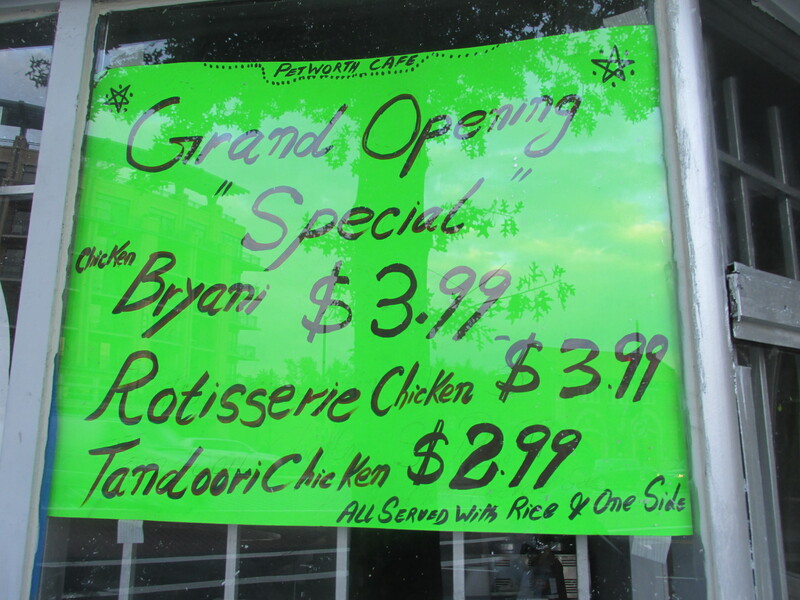 Two of the signs also give an indication on what kind of food they’ll be selling. The business has not applied for a liquor license, so they will not be serving alcohol.